I remember looking forward to visits at Queenstown Library with my parents where I would max out my limit with books like B is for Besty. 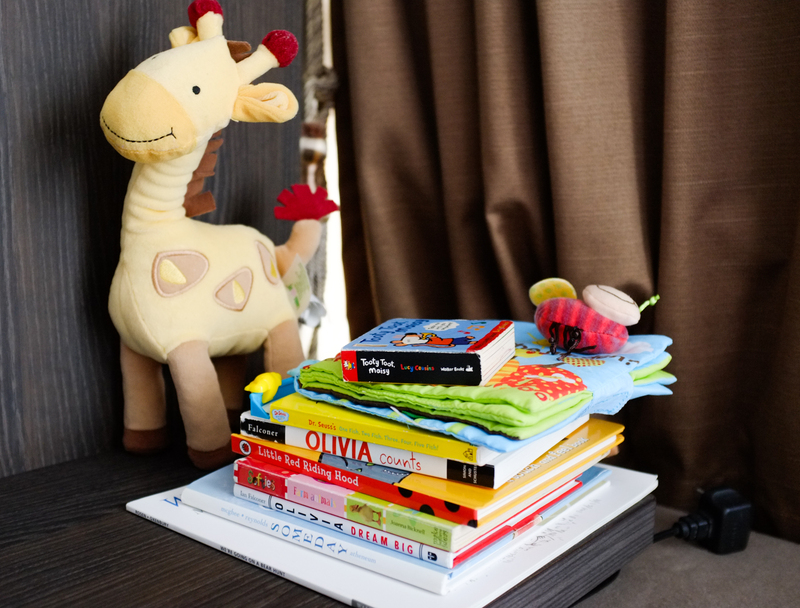 I believe those book runs nurtured my interest for reading and now that I’m a parent, I look to do the same with Suri. We read to Suri every evening as part of her bedtime routine and hope to instill some sense of affection for tactile books before she gets caught up with the iPad and apps. 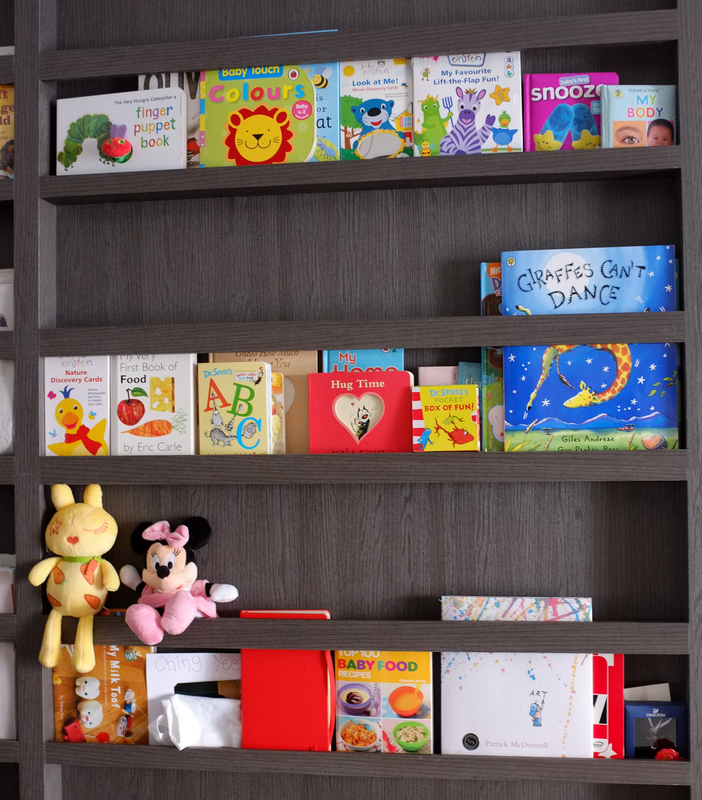 Board books, tiny books and textured books work really well for clumsy fingers and curious taste buds because every book must pass the ‘taste’ test. Pat gifted Suri ‘Someday‘ (one of many books), a simple but carefully worded storyline that made me tear when I read it to Suri – I would specially recommended for mothers’ with daughters. Dr. Seuss never grows old and it’s twice as fun when you read it out aloud as an adult. 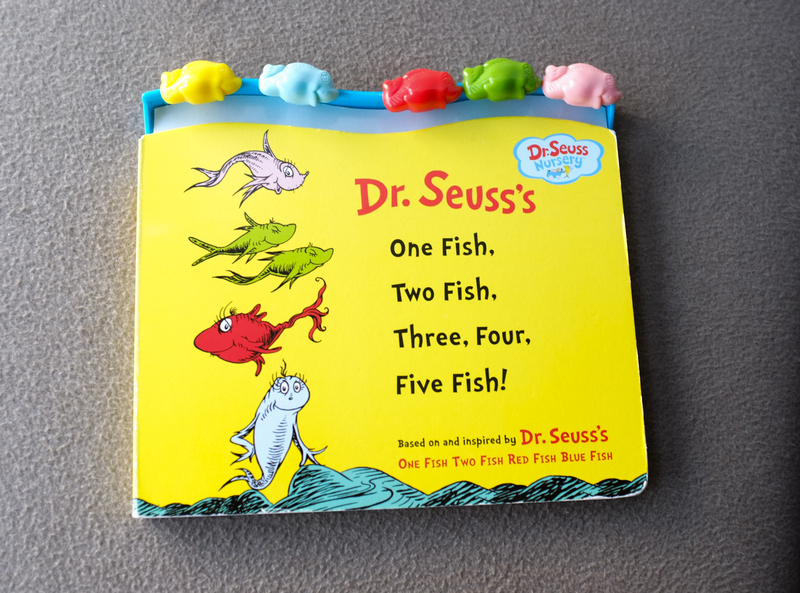 This is Suri’s most favourite book because of the fish toys she can munch on while thumping her fists against the colourful board pages. We (2ish-year-old & I) love the Scarlet & Peach books by Susie Poole – there is always a little lesson at the end of the book with a quote from the Bible. We also love the Bear series by Nick Bland. Came by way of MissusTay. thanks for the recommendation..I’ll be sure to check out the titles!